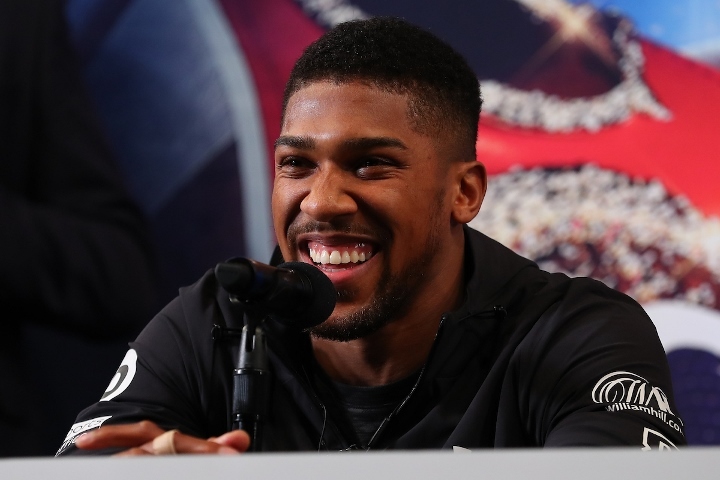 Hearn: Wilder and Fury Don't Want Joshua - Now Fans Know! Matchroom Sport founder Barry Hearn, who works with IBF, IBO, WBA, WBO heavyweight champion Anthony Joshua, believes the recent happenings in the sport have made it crystal clear that neither Tyson Fury or WBC world champion Deontay Wilder are willing to face the unified champ. Last month, Fury inked an exclusive co-promotional agreement with Top Rank and ESPN in the United States, and makes his network debut on a date in June. And Wilder rejected a $100 million deal from streaming service DAZN, and is now facing mandatory challenger Dominic Breazeale on May 18 on Showtime. Hearn states that his company, through son Eddie Hearn, have made lucrative offers to both Wilder and Fury - and both rejected the advances. "Wilder rejecting this deal [from DAZN] shows what he is thinking. Luckily the boxing fans today are smart enough to see that he doesn’t want to get in the ring with Anthony Joshua. Nobody does and that's the problem. He can say anything he wants but it's obvious to everyone now that this is not coming from our side. Wilder has signed up with Showtime and that makes this fight so much harder to make," Barry Hearn told Daily Mail. "We made this offer to try and make it easier but there you go. It's a shame because Eddie [Hearn] has been pushing so hard to make the Wilder-Joshua fight but it just isn't there. Wilder has been offered $100 million but he thinks he can earn good money fighting lesser opponents and then build up the purse to fight Joshua later down the line. Fury is the same, he doesn't want to know. We made him an offer and he turned us down. Neither of them actually want to fight Joshua. "They are all signed up to different television networks and that is a real issue from the promotional side of things. I just can't see how these fights happen. The problem is none of them want to get beat. No one is blinking. If they get beat everything is off the table. Even for Joshua. Fury is in the worst position because he doesn’t have a title so he has no pulling power and I think out of the three of them he is the most beatable." Yes Eddie, now fans know that both Wildher and Fury are SHOOK and DUCKING. They don't even want the rematch any more! Disgusting!